Car ride-sharing services Uber and Lyft are looking to diversify. Both companies have applied for permits to rent electric scooters to customers so they can zip around town. Well, at least in one town. Uber and Lyft have both applied for permits to operate e-scooters in San Francisco, according to the San Francisco Chronicle. It's all part of a permitting application process the city is running after it was inundated with electric scooters earlier this year. Several startups deposited thousands of e-scooters into the City by the Bay, resulting in a free-for-all of the two-wheeled contraptions as they were cast off anywhere riders pleased once they were done with them. This forced San Francisco to ban the personalized transportation machines until it got its arms around regulations. 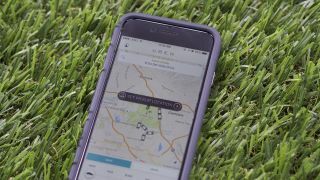 According to the Chronicle, the city will issue permits to five companies and cap the number of scooters in the city at 1,250. This number could double if the program runs smoothly. So, Lyft and Uber are just two of the contenders seeking permits to rent riders electric scooters. Others include Bird, LimeBike, Spin and Razor (you remember Razor scooters, right?). Uber recently purchased e-bike sharing company Jump, so it's already planting its flag in alternative transportation methods. The Verge reports Lyft has its eye on bike-sharing service Motivate. We'll see if San Francisco ends up issuing Uber and Lyft e-scooter permits, and, if it does, whether we'll begin to see scooters branded by the companies in other cities around the US and elsewhere.